“Growing up, I lived with my parents who could only be described as dedicated serial renovators. They would regularly convert old schools, renovate thatched cottages and period buildings. This continued throughout Dorset and Somerset during the sixties and by 1972, my father had taken advantage of the new emerging market that was double glazing, and started his own business in Dorset. I later left school and worked as a fitter in our family run business. A few years later I decided to relocate and work as a fitter in London. I was horrified to see how insensitive and inappropriate double glazing could be in period homes; destroying the architecture and devaluing them somewhat. Alongside the ideology of ‘using quality modern materials sympathetically with period properties’, Bespoke Windows was born in 1987. Although staying central to what we believe, we have developed this mission and crystallised it into a snappier phrase “Hi Tech Traditional”. It’s a contradiction in terms but our target customer knows exactly what it is upon hearing it. Bespoke Windows has become far more than just a great range of ‘Hi Tech Traditional’ products. After listening to our customers over almost three decades, we have created a company that systematically provides a superior bespoke service to all customers and potential customers. This includes helping you make informed decisions through providing expert guidance and tailoring a bespoke package to suit your exact requirements. 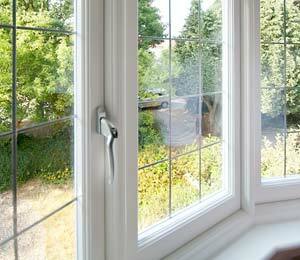 Bespoke Windows has a strong commitment to maintaining a bespoke quality service. 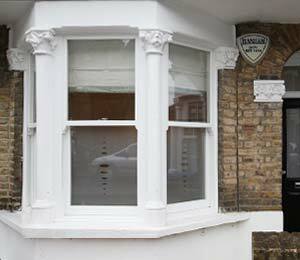 Based in East Dulwich, we specialise in the design and replacement of sliding sash windows, casement windows and French doors so if you are in need of a specialist for any of the above, just get in touch with us and one of our experienced technicians will gladly help you from providing you with free advice and guidance right through to design, installations and beyond! 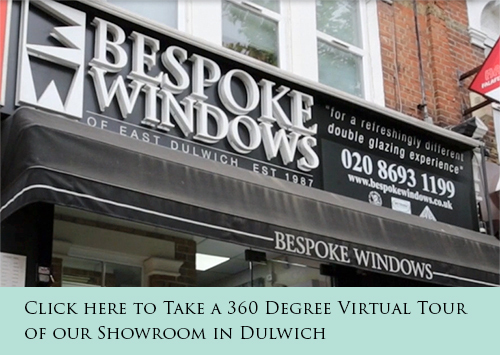 After serving thousands of delighted customers across South East London, Bespoke Windows is renowned for its fast-response time, competitive pricing, personalised design flair and attention to detail. Bespoke Windows is made up of consummate professionals who are skilled and reliable so you don’t need to worry about the work being outsourced to agency staff. Throughout the design and fitting process, one point of- contact will be appointed to you so any questions you have can be answered immediately and without any confusion! Find out more about our certified quality and service or take a moment to browse through some of the outstanding reviews written by clients. If you reside in South East London, Bromley or Croydon and you are looking for a reliable team to carry out the work, why not send us a message or you can call us directly on 020 8693 1199 for more information relating to your project.